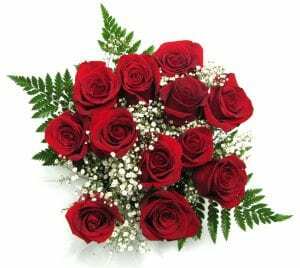 King Kullen’s Floral Department is a one-stop shopping destination for Valentine’s Day roses. King Kullen is helping shoppers all over Long Island prepare for Valentine’s Day. Right now, premium long-stem roses are available in a variety of colors and styles in King Kullen’s Floral Department, including beautiful and vibrant rose bouquets with baby’s breath and greens wrapped in decorative wraps. Featured roses, as well as mixed bouquets and vase arrangements, are also available. In addition to roses, King Kullen has azaleas, hydrangeas, oriental lilies, calla lilies and tulips on display in multiple colors. King Kullen also offers a wide selection of candy bouquet arrangements, Valentine’s Day stuffed animals, balloons, cards, chocolate hearts and gift-ready plants. Other floral shop services include a selection of the freshest flowers from around the world, blooming plants, wedding bouquets and centerpieces, home accents, designer hand-tied bouquets, potted plants, potting soil, plant food and last-minute gifts. Those with custom requests or large orders are more than welcome to meet with the professional florist. In addition to all of that, King Kullen is also helping shoppers get in the spirit of love and Valentine’s Day with some themed recipes for every meal of the day. A heart-shaped cookie cutter can be used to make a lot more than simply cookies. Start the day off with heart-themed breakfast dishes, especially if there are children to be fed. Fruit Smoothie Bowl Heart – have the kids help wash and cut the fruit for some extra family fun! The heart shape of the pomegranate arils will put a smile on any face right from the start of the day. Heart-Shaped Strawberry Cream Cheese Breakfast Pastries – these flaky, tasty pastries make for a great breakfast or brunch treat for a sweetheart or special someone, especially with the strawberry cream cheese topping! Heart Pancake Skewers – make your own pancakes or buy some frozen ones for this pancake kabob. Add a favorite fruit and some whipped cream for a tasty treat! Nutella and Strawberry Stuffed French Toast – French toast fanatics should be sure to try this heart-shaped take. The combination of Nutella, strawberries, vanilla and nutmeg is simply scrumptious! Main Dishes – these can be enjoyed for lunch, dinner or any time of day! Surf And Turf For Two – this favorite can be combined with a light-bodied white wine, such as sauvignon blanc or pinot grigio. The herb butter adds a little something extra. Caprese Steak – this mozzarella- and tomato-topped favorite is even better with balsamic vinegar, honey and dried thyme. Side Dishes – don’t limit the romanticism to just the main course! Mozzarella Cheese-Filled Hearts With Roasted Red Pepper Pesto – these oven-baked goodies can be served as an appetizer, side dish or tasty snack. Any favorite dipping sauce can be substituted for the pesto. Easy Parmesan Garlic Knot Hearts – these easy-to-make garlic knots serve as the perfect accompaniment to spaghetti and sauce. For dessert, King Kullen’s Bakery department has you covered. All the seasonal favorites are here: Valentine’s Layer Cakes, Valentine’s Heart Cakes and Jumbo Valentine’s Cupcakes that are specially decorated. Easy desserts like Rice Krispie Treats can also be enjoyed and made festive by using cookie cutters in the shape of hearts, x’s or o’s. Red food coloring can also be used to dye the Rice Krispies red or pink. February is also National Chocolate Lovers Month! King Kullen has a variety of Russell Stover Valentine’s Hearts available in store for Valentine’s Day. Dark chocolate is considered to be beneficial due to the nutrients it contains. In order to be considered nutritious, the dark chocolate must contain a high cacao content – about 70-85 percent. Dark chocolate contains healthy fats, fiber and minerals (iron, magnesium, copper and manganese are a few), and is a great source of antioxidants. In addition, it can help to lower bad cholesterol levels (LDL) and increase good cholesterol levels(HDL). Finally, dark chocolate helps to improve brain function, increasing alertness, and can help protect the skin against harmful UV rays. King Kullen also has everything in stock needed to enjoy one of these recipes that are sure to please any chocoholic! Stop by the Bakery Department for bagels, rolls, breads, cakes, pies, pastries, brownies and cake kits. Strawberry Dark Chocolate Bark – this simple treat requires only two ingredients and takes mere minutes to make! It’s also fairly healthy as far as treats are concerned! As always, King Kullen Grocery Co., Inc. has plenty of all the ingredients needed to make any of the above recipes. The friendly and helpful staff members are always eager to help out and make sure everyone who walks in finds what they need.